A robbery attempt to loot Canara Bank ATM has took place near Maris Stella College in Vijayawada. Security Guard, Mariyanna is guarding the ATM and tried to prevent the robbery. 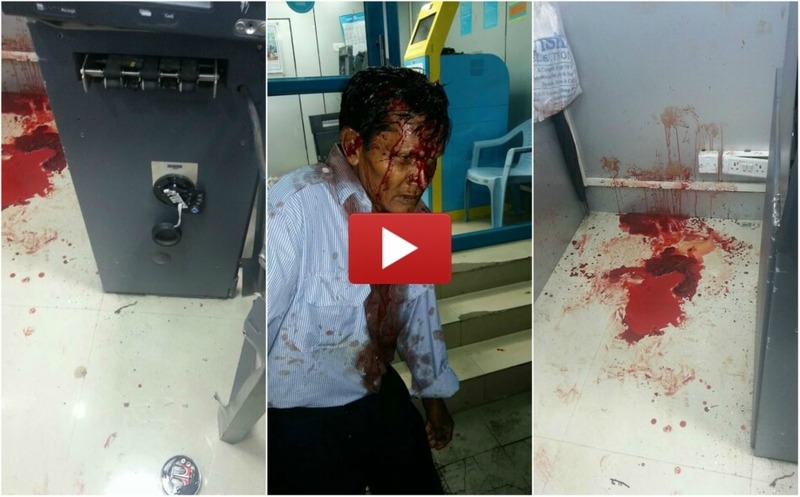 The Unidentified thief with a weapon attacked the security guard, which caused in severe injuries. He was admitted in Government Hospital and his condition is stable now. Patamata Police are trying to identify the thief through CCTV footages, and investigate the case further. Central Zone Assistant Commissioner of Police Satyanandam is investigating the case.